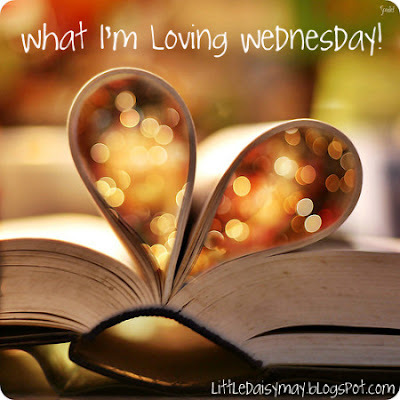 As implied by the extremely creative title of this post, I’m bring back What I’m Loving Wednesday posts for the first time since last fall. I’m loving that my garden is going strong. It’s so nice to be able to walk to the back yard to pick herbs and stare longingly at my budding broccoli. I’m loving running again. After my embarrasing toe/wine bottle incident, I’m finally (albeit slowly) adding the miles back on my garmin. Jacob and I are even signed up for a local 5k this Friday night! I’m loving our new leather sectional. More pictures sooooooon. Last but not least, I’m loving myfitnesspal. Jacob and I are determined to get back down to ‘wedding weight’ before our family beach vacation in July. After a failed attempt to lose some pounds last fall, I’m finally having success tracking calories and exercise with myfitnesspal. That’s right. We’re playing this game again. This week I’m loving our kickball team and world’s cutest mascot. Monday was the start of the season championships and unfortunately, we lost so our season is over. We had so much fun playing on this team and met some wonderful new friends along the way. The mascot? Our friends Alex and Betsy recently got a new Corgi puppy named Percy and he has been tagging along to our last few games. And yes, if possible, he’s even cuter in real life than in that photo. I’m loving work and silly holidays. Monday was Bosses Day so we got my boss a cake, an ‘Oscar’ and had a pizza party. I’m loving everything about fall. Seriously, everything. We went to a haunted corn maze on Saturday and the six of us in our group scared ourselves so much that I was crying I was laughing so hard. I’m loving the process of making our Halloween costumes. I’m spending every spare second at my sewing machine and I can’t wait to share more about them. I’m loving that it’s craft fair season in Northwest Arkansas. This week I went to the War Eagle craft fair with my sister and her boyfriend’s mom. It was so much bigger than the Clothesline Fair last month and we were lucky enough to go on such a beautiful fall day. Anyone else particularly enjoying this fine autumn Wednesday Thursday?